Join us on Saturday, October 13th, from 10am – 12pm for a fun and informative old-growth forest ecology tour along Stanley Park’s Tatlow Trail. 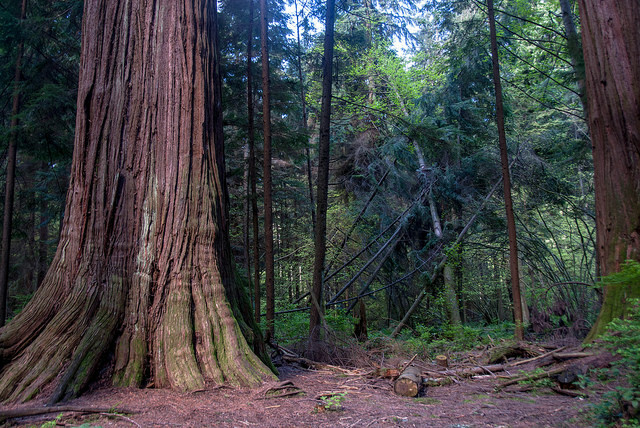 See Vancouver’s biggest trees and learn about the plants, mushrooms, wildlife, ecology, and the status of British Columbia’s old-growth forests. What do bears do with hollow tree trunks? Which plant do you really want to boil before eating? How are old-growth forests different than second-growth? Bring your family and friends to this walk hosted by the Ancient Forest Alliance and the Stanley Park Ecology Society and find out!